Skin cancers are of different types. The most deadly of them is melanoma. Melanoma is further divided in several types. One of the types is nodular melanoma. 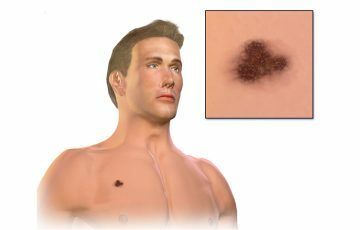 It is perhaps the most aggressive type and therefore accounts for the majority of deaths related to melanoma. Fortunately, the cancer is fairly rare. 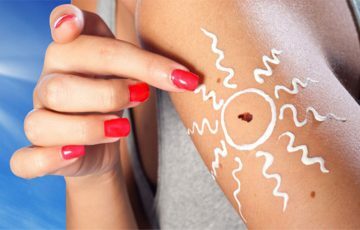 Statistics estimate that only about 15% of melanomas is accounted for by this type. The term “nodular” comes from the fact that this type of cancer is characterized by lumps that resemble nodules. The nodules are mostly round in shape but can also be oval. See nodular melanoma pictures for further clarification. In initial stages, small lesions will appear on the skin. The mass above the skin is just the tip of the iceberg. In a very short period of time, malignant cells penetrate vertically, deeper in the skin. They finally gain access into the lymphatic and circulatory systems in a process known as metastasis. Survival rates are very low once the malignant cells have metastasized. 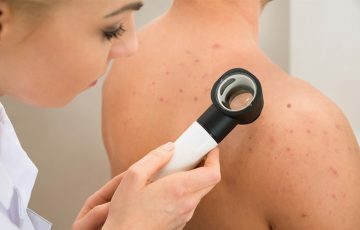 What is nodular melanoma and who is at risk? Most cancers originate in cells whose DNA has been damaged or has mutated. As a result, normal cell functions are compromised. In most cases, cells’ DNA damage that causes cancer results in rapid and abnormal cell division. It is for this reason that rapidly growing tumors are associated with cancer. Nodular melanoma originates in melanocytes. These are cells that contain melanin, or the substance that gives the skin its color. 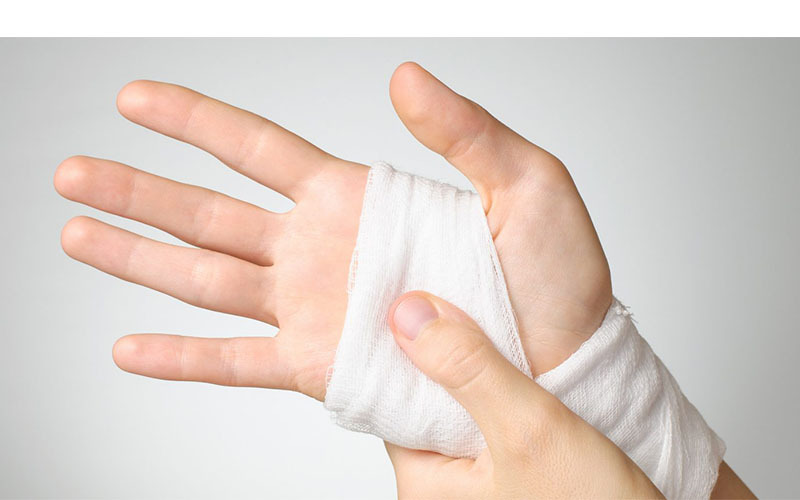 This means that the disease can develop anywhere on the skin. 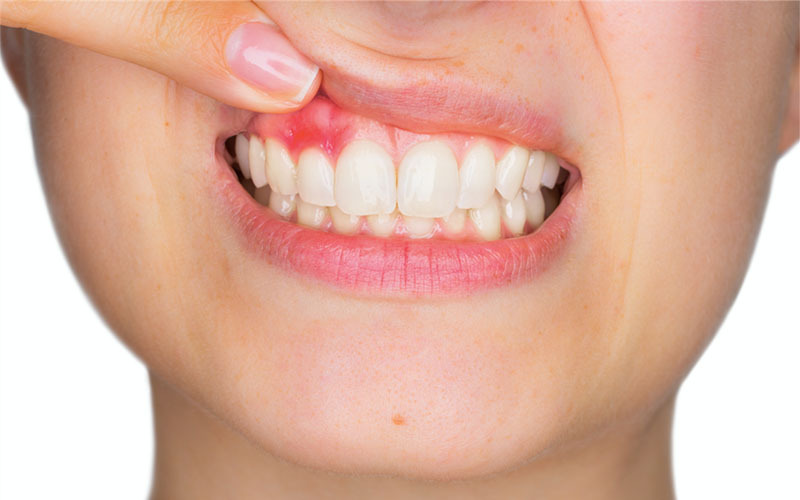 It is for this reason that you will come across cases such as melanoma on lip or eye. Anyone can get this type of cancer. However, most cases are reported in people with light skin (skin types 1 & 2). It has also been noted that men tend to develop the disease more often than women. 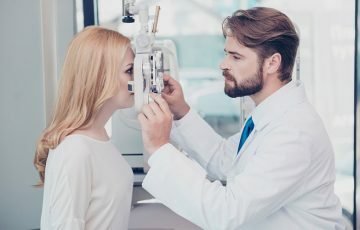 It is unlikely that you will experience any noticeable nodular melanoma symptoms when the disease is its initial stages. The disadvantage of this fact is that the earlier the disease is diagnosed, the higher the survival rates. While the cancer can start in any part of the skin, it mostly begins in the neck and head. Experts believe this has something to do with these regions being often exposed to sun. The usual suspicious sign is appearance of a lump or a nodule that rapidly gains mass in a very short period of time. In fact, a nodular melanoma tumor can reach its deadliest stage in just a month. Most of these nodules are black or brown in color. They can easily be taken for moles or polyps. 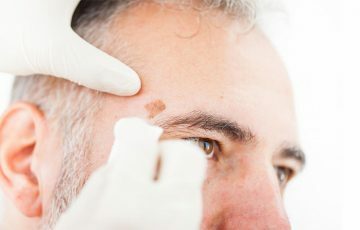 Rarely will nodular melanomas originate in existing moles. They usually begin as fresh growths, which then multiply rapidly. 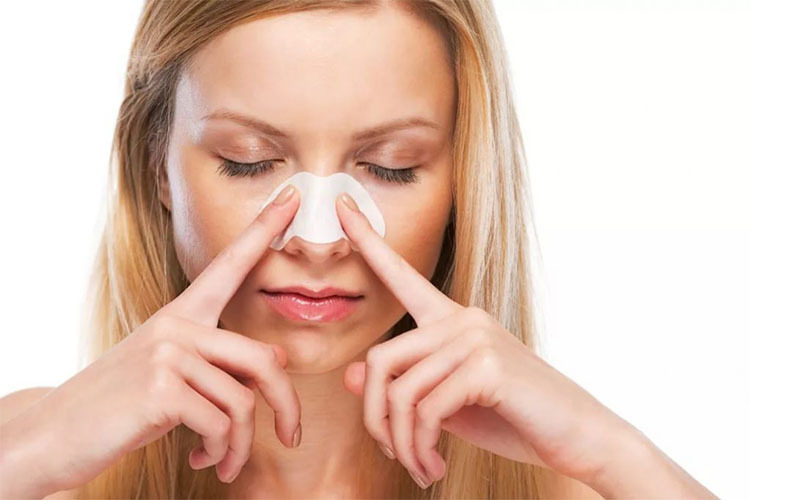 A self-diagnostic tool referred to as the ABCDE rule is often used to identify a suspicious mole. Malignant tumors often are asymmetrical, have irregular borders, have multiple colors (usually black, pink or brown with some bluish), are more than 5 mm in diameter and slightly rise above the skin. Skin growths with all these characteristics but that tend to be colorless can be amelanotic melanomas. When tumors have metastasized, varying symptoms will occur depending on the location they have invaded. Melanoma in lungs will cause difficulty breathing, blood in the cough and chest pain. In the brain, it will cause seizures, headaches and numbness in extremities. In the bones, it will cause bone pain and frequent fractures. In the pancreas or liver, it will cause a lump in the upper abdomen, nausea, vomiting and loss of weight. 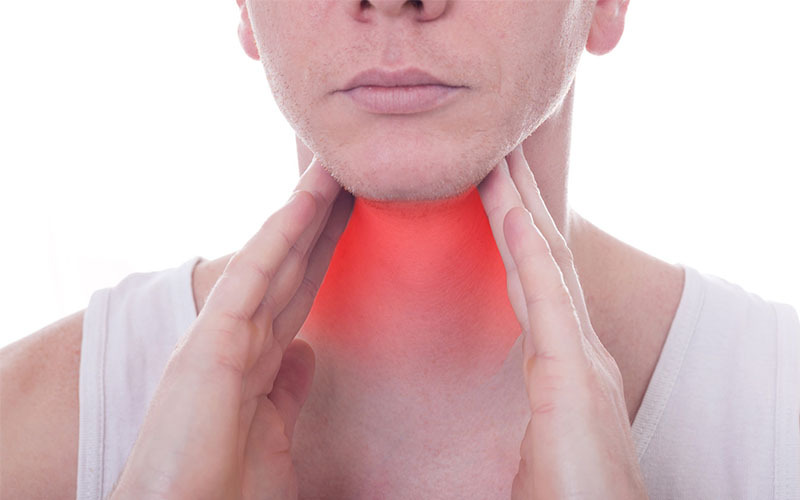 In the lymphatic system, it will cause multiple swelling of lymph nodes and fever. In other parts of the skin, it will cause multiple nodules on different skin regions. 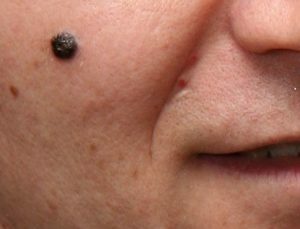 It is common to have multiple moles in different parts of the body. If the mole has been there for a long while, it will not turn into nodular melanoma. If, however, the mole has shown up recently and continues to grow, it should be checked by a doctor. It is hard to tell why some moles exhibit signs of malignancy while others do not. Studies have shown that tumors grow when cells are unable to control their division or unable to induce tumor suppression action. This happens when a part of DNA is damaged. UV radiation is thought to be a common cause of mutation in melanocytes. It has also been observed that mutations are sometimes inherited from parents. If a close member of your family has ever been diagnosed with the disease, you are at a higher risk of developing the same. Age – most cases are reported after 50 years of age. This can be attributed to the fact that gene mutations are more likely in older people. 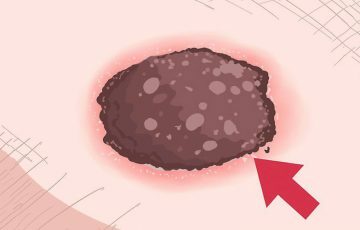 Many moles – moles rarely develop into melanoma. However, many cancers of the skin resemble atypical moles. Individuals with many atypical moles should occasionally get tested for signs of malignancy. Weak immunity – the immune system naturally attacks cells and organs that exhibit abnormal characteristics. In fact, abnormal cells ‘commit suicide’ as part of body’s defense mechanism. Diseases or conditions which weaken the immune system make it harder for the body to recognize and eliminate rogue cells. Fair skin – it is estimated that 50 fair skinned individuals will develop nodular melanoma for every 1 dark skinned individual who has developed the same. 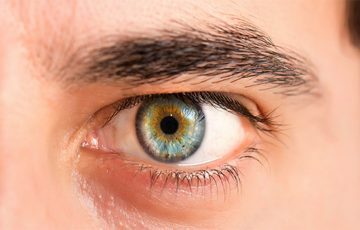 Such statistics have also been reported in redheads with uveal melanoma symptoms, being more common in blue-eyed individuals. Hereditary factors – a condition known as xeroderma pigmentosum makes cells unable to recover from sun damage. It is passed from parents to children. Note that having fair skin, being over 50 or having a family member diagnosed with nodular melanoma do not guarantee that you will develop the same. 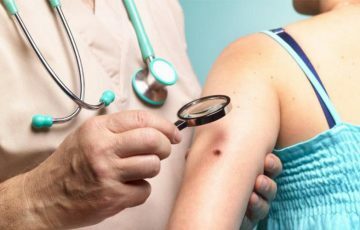 If you notice a nodule on your skin that has changed its size over a course of a very short period, have it checked by a doctor immediately. Most melanomas are diagnosed before they are larger than 1 mm. Things are quite different in the case of nodular melanoma. Due to its invasive nature, the disease is usually caught when tumors are about 2 mm thick. Nodular melanoma prognosis is best for small melanoma tumors, ones less than 0.6 mm thick. This is stage I of the disease. Here, tumors are in situ and fairly easy to remove. 5-years survival rate is set at more than 90%. Stage II tumors have penetrated the dermis. 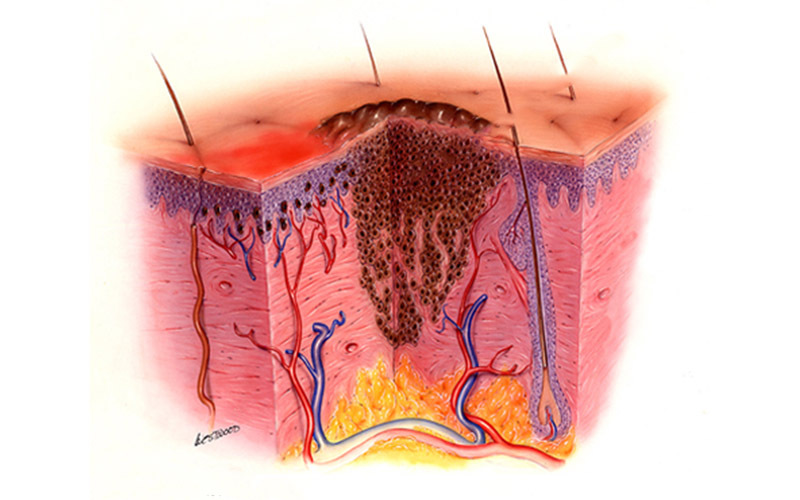 This is the skin layer that lies just beneath the epidermis. Nodular melanomas have a tendency to bleed, a factor that makes their stage II quite dangerous. This is because malignant cells can easily enter the blood system and migrate. Stage II survival rate falls anywhere between 50% and 85%. Stage III and stage IV indicate tumors that have spread to lymphatic system and other body organs such as lungs. 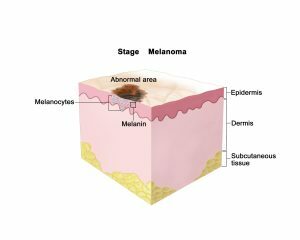 Survival rates significantly drop in these advanced malignant melanoma stages. It is not always true that nodular melanomas will obey the ABCDE rule. 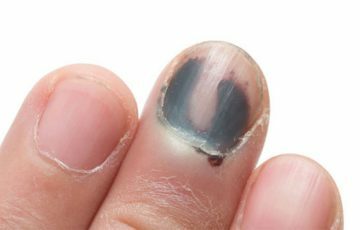 A nodular melanoma can even be taken for a blood blister, for example. However, all of them will increase in size very rapidly. This rule is only meant to help identify skin growths that may be malignant. It should not be used to confirm diagnosis. The rule is also popularly used in amelanotic melanoma cytology. A biopsy is a small skin tissue which is extracted and taken for testing in the lab under a microscope. It is a very efficient diagnostic tool to check for presence of cancerous cells. 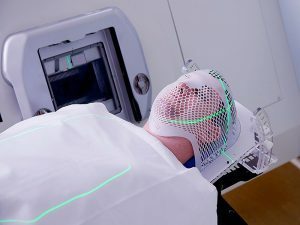 Once tumors have been detected and extracted, another test that involves injecting dye in the previously affected area can be used to see if malignant cells have travelled to the lymphatic system. This is a very crucial test when diagnosing nodular melanoma. It helps tell normal or non-invasive skin growths from nodular melanomas. The test displays features such as lack of symmetry, multiple coloration and blood vessels that have developed in the melanoma. Imaging tests may also be taken to display the extent to which the tumor has spread and indicate current melanoma stages. This is the most common of all melanoma treatment options. It is very effective for in situ tumors. During the operation, the tumor will be cut out of the skin completely. Additionally surgery may be required to ensure that the whole tumor has been removed. Lymph nodes that have enlarged after metastasis are also removed with surgery. Once tumors have reached stage III, it is likely that several lymph nodes will have to be removed. Otherwise, the cancer will settle in other places. This is use of X-rays to kill malignant cells. It is rarely used alone. For example, radiotherapy can be used after surgery to eliminate any malignant cells that may not have been removed. The treatment requires several appointments especially if the tumor is very thick. Chemotherapy is use of drugs to kill cancer cells. The drugs are usually injected but also available in oral forms. The main advantage of chemo is that it kills both healthy and malignant cells with the characteristic of rapid cell division. Recently, an advanced form of chemo known as targeted therapy has been introduced. Drugs used in this case specifically target cancer cells. Targeted therapy is usually used with other nodular melanoma treatment methods. When cancer cells migrate from original tumor into blood system, the immune system may recognize and attack them. In fact, only a small percentage of migrated cells will actually find a conducive environment to attach and grow into tumors. Immunotherapy is aimed at strengthening the immune system. This makes it easier to fight cancer cells, especially ones that are yet to attach to new tissues. The main disadvantage associated with this treatment is that the drugs used come with many side effects. Cancer is one of the most distressing diseases. 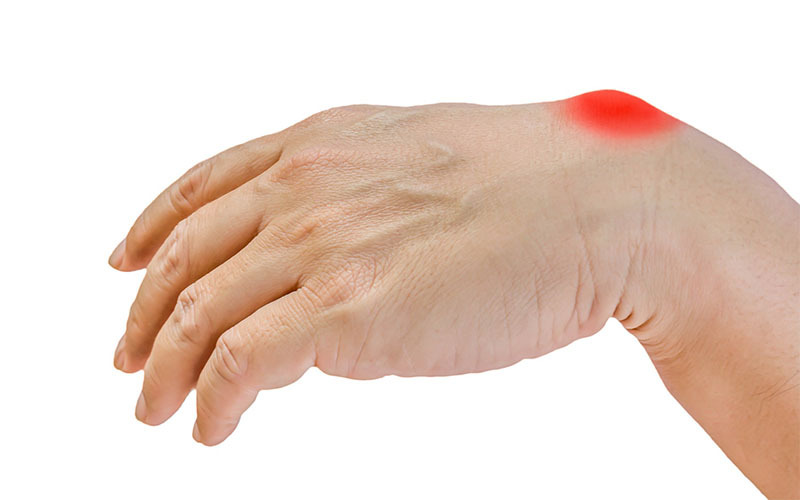 A part of this is caused by the fact that the disease is painful and expensive to treat. The other part is caused by mental breakdown after a positive diagnosis. Unfortunately, diseases tend to be more aggressive when one is mentally disturbed. Going for therapy is therefore a very important part of cancer treatment. While the actual cause of this disease is not fully understood, there are reasons to believe that exposure to UV radiation plays a big role. Harmful UV rays are found in direct sunlight and artificial devices such as tanning beds. Prevention therefore involves measures to reduce UV radiation exposure. Such measures include application of sunscreens (lotions with SPF 15), avoiding excess sunbathing and not overusing cosmetic tanning.